Black and white action photograph of roan stallion, Mr. 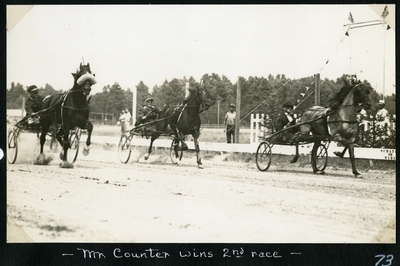 Counter wearing head number five and winning the Classified Pace, Tuesday, August 10, 1937. Black stallion, Walter Princeton finished the race in second place while Steamline finished in third.